Chicago Bulls guard Derrick Rose allegedly told ESPN the Magazine that the use of performance-enhancing drugs, which includes drugs such as anabolic steroids, was a “huge” problem in the National Basketball Association. Most people don’t think that steroid use is a significant problem in the NBA. Only two NBA players have tested positive for anabolic steroids – Memphis Grizzlies’ O.J. Mayo and Orlando Magic Rashard Lewis – and one of those players only tested positive for dehydroepiandrosterone (DHEA). Rose’s comments in the May 16, 2010 issue of ESPN the Magazine put the steroids in basketball issue back in the spotlight. 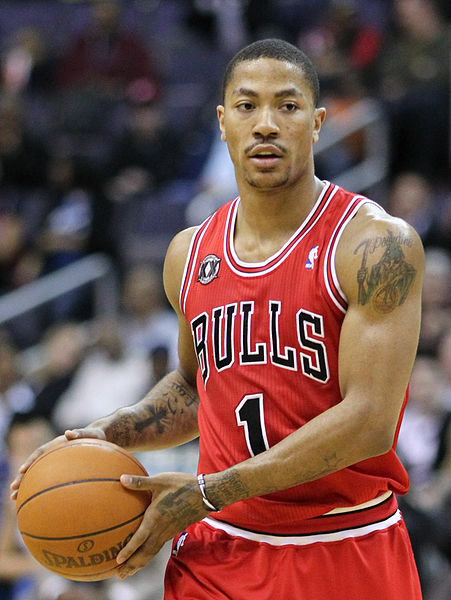 The mini-uproar caused by Rose’s comments led to some creative public relations by the Chicago Bulls. And the possibility loomed large that what Rose was asked, or thought he was asked, different significantly than what showed up on the final magazine page. That was the view of a Bull spokesman, who denied the quote on Rose’s behalf that he was alleging a current, ongoing problem in the NBA. Derrick Rose later made a statement trying to explain away his previous comments while strongly denying the existence of a steroid problem in the NBA. The NBA/NBPA Anti-Drug Program’s SPED policy (steroids, performance-enhancing drugs and masking agents) has satisfactorily addressed the need for steroid testing in the NBA. So, Rose’s comments were clearly not welcomed by the league.